A great alternative to high-sugar granola bars. 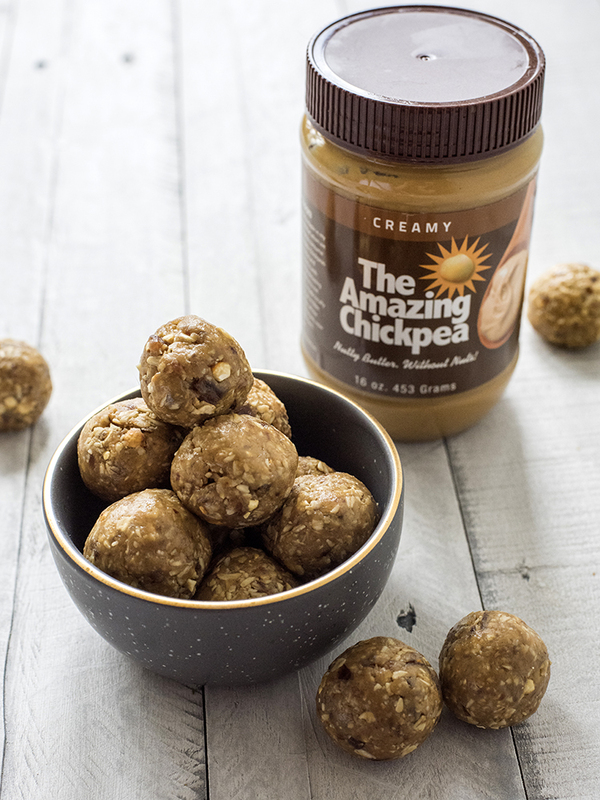 These energy balls are quick and easy to make, and great for on-the-go lifestyles to keep you moving! Measure all dough ingredients into a blender (I highly recommend a large food processor, if you have a smaller model split the recipe in half) and grind until well mixed. Once it’s all blended together, take a tablespoon-size chunk and roll it into a ball between your hands. At this point microwave the coconut oil in 30 second increments until clear then stir in chocolate chips microwaving as needed for drizzle consistency. When it comes to applying the drizzle be creative; you can spoon it on, drip it on, or simply roll in the ball into the chocolate sauce (my personal favorite). The best part about these energy balls is there’s no baking involved, so as soon as chocolate is applied place in fridge for about an hour (or until chocolate hardens) and they are ready to enjoy!